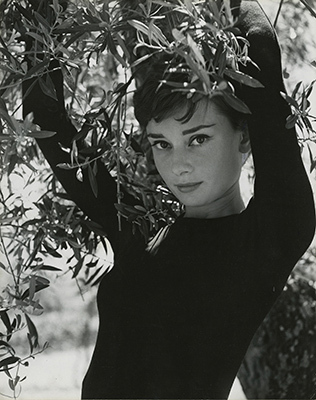 The Yale University Art Gallery has acquired the archive of the Famous Photographers School. 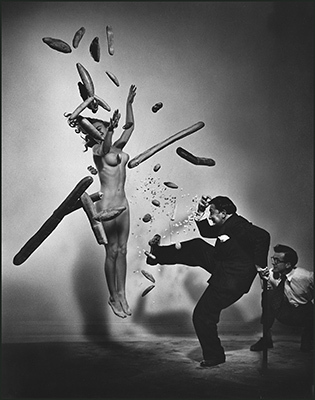 The archive provides a window on the history of American photography, iconic midcentury moments, and the techniques, philosophies, and artistry of 10 “famous photographers,” including Richard Avedon, Alfred Eisenstaedt, Phillippe Halsman, and Irving Penn. Founded in 1961 in Westport, Connecticut, the Famous Photographers School was an outgrowth of the Famous Artists School, a correspondence-learning course started by illustrator Albert Dorne in 1948 that became a thriving postwar enterprise. The Famous Artists School boasted some of the best-known artists of the era — including Norman Rockwell, Ben Shahn, Stuart Davis, and Wil Barnet — as its original faculty. 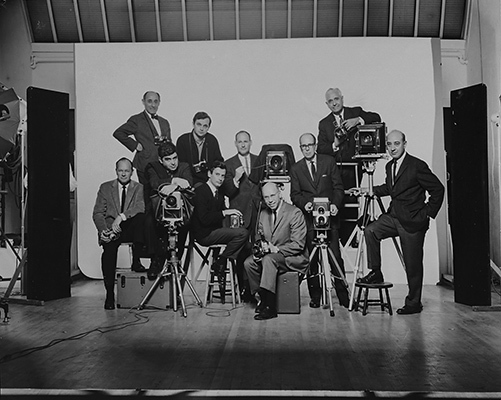 The multimillion-dollar success of the Famous Artists School led to the business’ expansion in 1961, when Dorne recruited Victor Keppler, a noted commercial photographer and expert in darkroom chemistry, to develop the Famous Photographers School (FPS). The school’s faculty consisted of 10 major American photographers whose creative visions and educational philosophies promoted the expressive potential of the medium. Life magazine photographer Eisenstaedt was one of the first faculty members of the FPS. 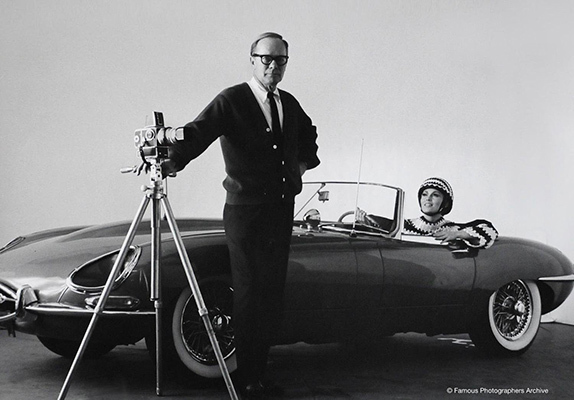 He was joined by renowned fashion and portrait photographers Avedon, Halsman, and Penn. Faculty members Arthur d’Arazien, Richard Beattie, Joseph Costa, Bert Stern, and Ezra Stoller were known for their commercial, celebrity, and architectural work, while Harry Gareld was celebrated for his photography of children. Margaret Bourke-White, though not a member of the 10 “famous photographers,” served as an adviser. Each photographer advised on the general curriculum and developed illustrated lessons within their areas of expertise. 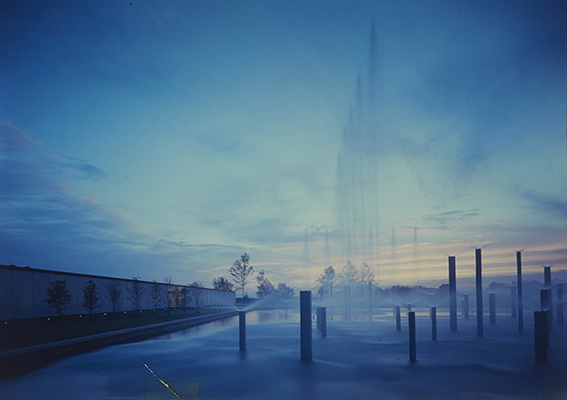 The majority of the photographers had their first museum exhibitions at the Smithsonian Institute in Washington, D.C., in 1962 as a direct result of their participation in the FPS. Twenty-four lessons were assembled in hardbound volumes and sold by subscription. The promotion of the school by its salespeople was hailed as revolutionary, expanding advanced education into America’s living rooms. An advertisement in Life magazine’s Feb. 21, 1964, issue began “Now — no matter where you live — you can ‘apprentice’ yourself to the most successful photographers of our time” and continued “Ten of the world’s greatest photographers have joined together to create a professional-level course in photography to help you develop your skill, judgment, and craftsmanship … and to pass on to you their secrets for achieving success and recognition.” Prospective students were required to complete an aptitude test, and a salesperson would follow up with a personal visit to encourage would-be photographers to enroll. Lessons provided step-by-step guidance on particular topics, such as composition, lighting, portraiture, and using an electronic flash. Students completed assignments in sequence, mailing them to the school for evaluation by the instructors. In return, they received detailed critiques of their work, with praise for their accomplishments and suggestions for improvement. Richard Beattie, “Eartha Kitt,” c.1959. The FPS textbooks were illustrated with more than 2,000 photographs. The images were chosen for their educational value as well as artistic impact, and each was comprehensively discussed in the volumes. Many prints were vintage examples from the photographers’ personal collections, and often these historic prints had the original retouching and cropping notes unseen in other reproductions. Other photographs were created specially for the purposes of instruction and were unpublished outside of the FPS materials. 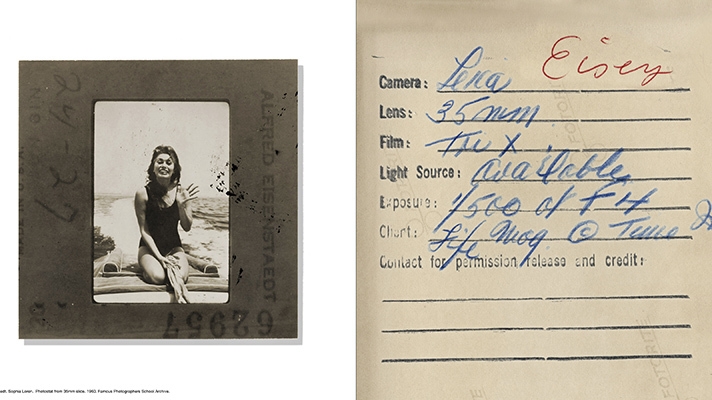 Thousands of additional photographs contained in the archive remain unpublished in any context. 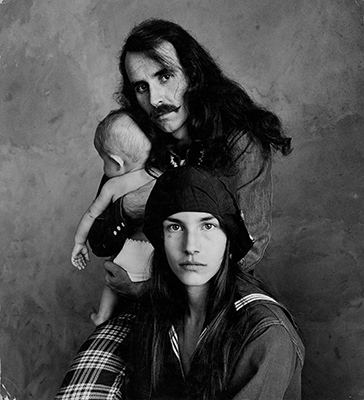 The Famous Photographers made portraits of each other for publicity materials, and many of these pictures have become among the most recognizable images of the artists. Keppler recorded interviews with each of the faculty photographers, and these recordings, which have never been released, were preserved in the FPS archive. The interviews offer a first-person narrative of midcentury American photography. 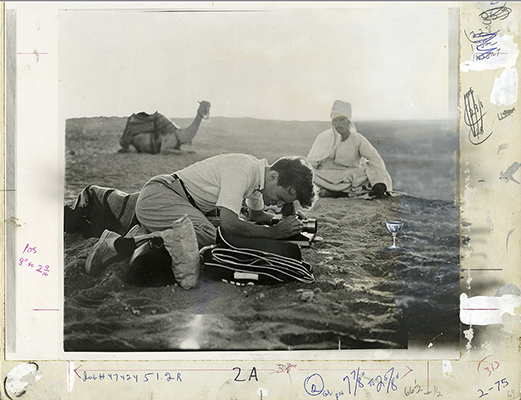 Films, filmstrips, and recordings were also produced to bring the photographers’ works and techniques to students across America and around the world. Since the closure of the Famous Photographers School in 1974, the institution’s files and photographic archive have been in storage. For over 40 years, they have sat virtually undisturbed in the school’s more than 125 original steel file drawers and cabinets. Judy Ditner, the Richard Benson Assistant Curator of Photography and Digital Media, is just beginning the multiyear project of sorting through the thousands of objects in the archive, including photographs, negatives, proof sheets, book dummies, instructional materials, student work, business records, and correspondence. Throughout the summer, a selection of 19 photographs from the Famous Photographers School is on display in the gallery’s lobby, including works by Avedon, Bourke-White, Eisenstaedt, and Stern. There are portraits of Albert Einstein (1947), Salvador Dalí (1948), and Audrey Hepburn (1955) by Halsman; images of Frank Lloyd Wright’s Taliesin West (1951) and Fallingwater (1963) by Stoller; and pictures of lightning research at General Electric (1961) and the interior of IBM (1963) by d’Arazien. Costa’s image of Franklin D. Roosevelt signing the declaration of war on Dec. 8, 1941 is displayed near Eisenstaedt’s photograph depicting a World War II soldier and woman in a farewell embrace. 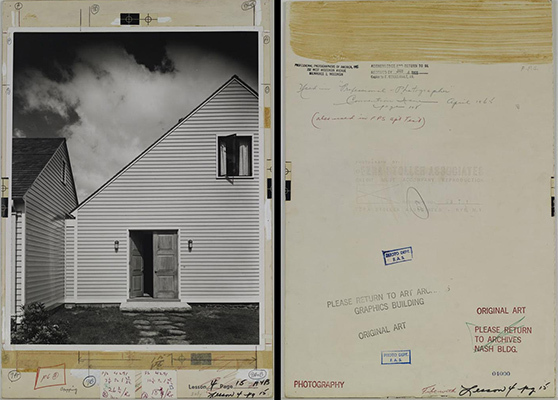 “The vast range of materials residing in the Famous Photographers School archive at Yale will offer many opportunities for faculty members, curators, students, scholars, and others to conduct extensive viewings and research that will be incorporated into many courses, exhibitions, publications, and public programs,” said Jock Reynolds, the Henry J. Heinz II Director of the Yale Art Gallery. “This acquisition is an important addition to the gallery’s photography collection and to the resources of the university as a whole. “Faculty from multiple disciplines in Yale College, especially those who teach the popular ‘History of Photography’ course, and from professional schools such as the School of Art, School of Architecture, and School of Management will be eager to study and teach with the material,” he added. 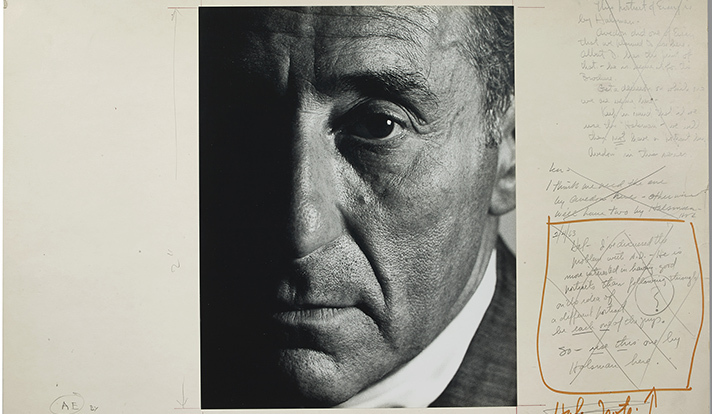 Ditner noted, “In addition to tremendously augmenting the gallery’s existing collection of works by Penn, Avedon, Halsman, and Bourke-White with truly outstanding examples of their work, the archive also contains a multitude of previously unknown images and brings with it a wealth of research opportunities. Beginning in 2017, the archive materials will be housed and available for public viewing by appointment in the gallery’s Wurtele Study Center at Yale West Campus. The Yale University Art Gallery is located at 1111 Chapel St. Admission is free. Museum hours are: Tuesday–Friday, 10 a.m.–5 p.m.; Thursday until 8 p.m. (September–June); and Saturday–Sunday, 11 a.m.–5 p.m. The gallery is closed Mondays and major holidays. For general information, call 203-432-0600 or visit the gallery’s website.